Ted Bundy is one of the most infamous serial killers to date. By now, you’ve seen the internet abuzz with the recent Netflix release and the upcoming movie, Extremely Wicked, Shockingly Evil and Vile. While there is debate surrounding these latest releases, it is fair to say: there aren’t many other serial killers that can compare to how twisted Bundy became and the details of his murders can send chills up anyone’s spine. Other than his purely evil and manipulative nature, many believed Bundy was one of the nicest people they had ever met. He enrolled in law school and worked for a suicide prevention hotline. In fact, when the details started to emerge about his murders, people became shocked. Many who knew him said they never imagined he would become capable of such crimes. A young Ted Bundy and his mother. Tumblr/ Crime Viral. 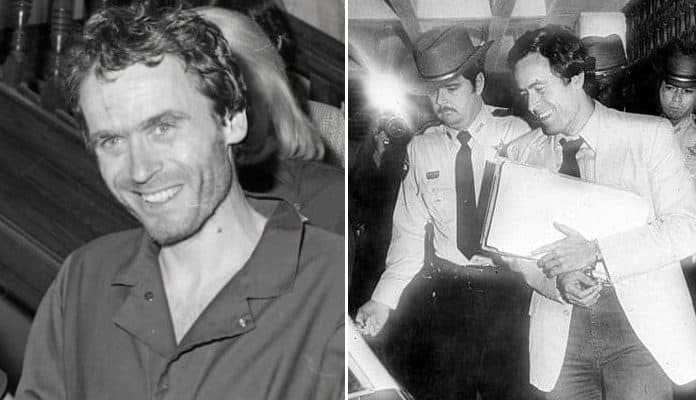 No one really knows who Ted Bundy’s father is. The name of his father listed on his birth certificate is Lloyd Marshall, an Air Force Veteran. However, later in Bundy’s life, his mother, Eleanor Louise Cowell, stated that his birth father was a sailor by the name of Jack Worthington. However, many people feel that Cowell wasn’t honest about who Bundy’s father was because she wanted to hide one of the darkest secrets of her life, that her father, Samuel Cowell, raped and impregnated her. No evidence proves that Samuel Cowell fathered his grandson.